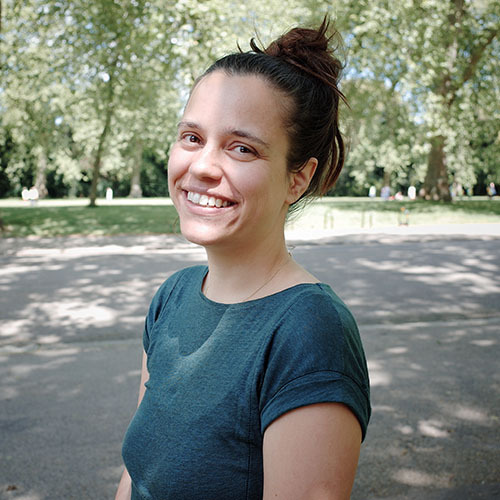 Lise Pape originally started developing Path Finder during her degree course in Innovation Design Engineering at the Royal College of Art and Imperial College London. She founded Walk With Path Limited in 2014. Lise also holds a BSc in Human Biology from King’s College London. Using laser technology to prevent people with Parkinson’s from falling may sound like something out of a sci-fi film. But a student from Denmark – whose father has the condition – is making it reality with her simple, yet ingenious laser shoe attachment. We speak to inventor Lise Pape about how the award-winning innovative device works, its life-changing impact and the huge potential cost savings for government health services. What inspired you to invent Path Finder? I started working on Path Finder during my studies in Innovation Design Engineering at the Royal College of Art and Imperial College London. I was particularly interested in Parkinson’s disease as my father suffers from it. I have been following his disease progression for more than 10 years, during which time his medication has been unable to provide the desired benefits to his life. The drugs have contributed side-effects, which other drugs were introduced to overcome, and soon it became a cascading effect. This seemed less than optimal, so I started wondering what could be done using less invasive methods. What’s it like seeing him deal with the disease? Having a close family member with Parkinson’s is difficult. It is devastating to watch my father’s deterioration and I have often felt frustrated with being unable to help him. One of his biggest problems has been with freezing. He suffers from freezing many times a day and has also fallen on some occasions. This can be very worrying for the rest of the family. Working on a product that can help improve his quality of life is very important for me. 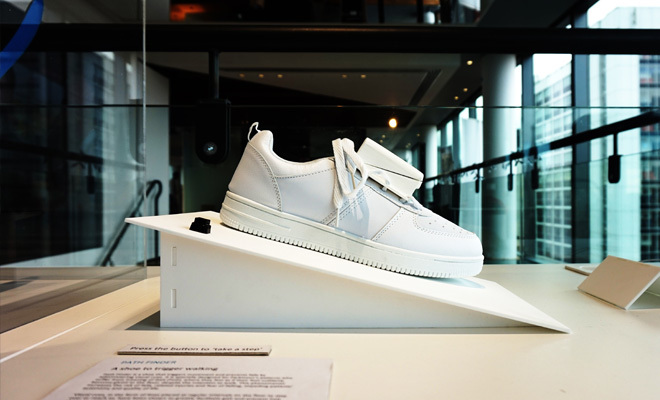 Path Finder is a shoe that projects laser lines to trigger walking and prevent ‘freezing of gait’ (FoG), a common symptom of Parkinson’s disease. The laser cues are activated by pressure observed when the wearer touches down on the ground. In this way, the standing foot projects a line for the opposite foot, i.e. the left foot will project for the right foot to take a step forward and vice versa. It is believed that the visual cues are able to trigger gait by focusing the attention of the wearer. Where did the idea for using lasers come from? I conducted a range of experiments with visual cues to establish that it would be the right solution for the product. I chose lasers specifically as they are capable of providing a very defined line and they offer the strength necessary to be visible in daylight. How does it benefit people with Parkinson’s? By preventing freezing episodes for Parkinson’s patients, Path Finder has the potential to prevent falling and increase confidence when walking. Preliminary tests conducted by our research partner have found a 55% reduction in FoG among affected individuals. Given that Parkinson’s disease is a progressive neurodegenerative disorder, it is expected that all patients will eventually develop FoG at some stage of diagnosis. What stage are you at in the development of the product? We are currently at prototyping stage and have developed a partnership with an academic institute in The Netherlands, Radboud University, with whom we will conduct patient testing. We are also working on a next phase prototype based on our learnings so far, and are planning a larger clinical trial study with Radboud University. What has been the project’s biggest challenge? It was paramount to develop a solution that met a lot of requirements in order to satisfy user needs. 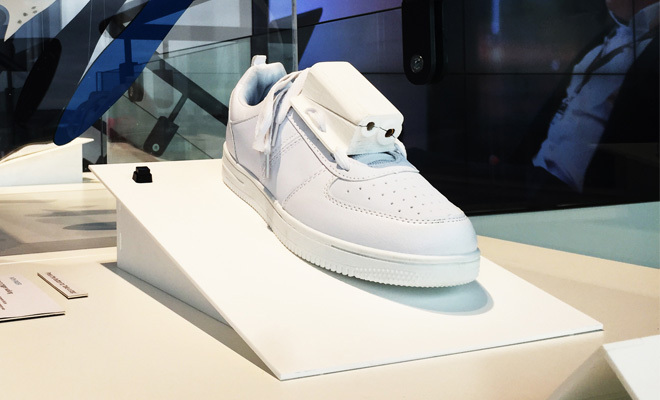 I wanted to create a product that was discreet and intuitive, which is why I decided to place the laser on the shoe. This allows the user to walk as they normally do, without needing to think about how to use the product. This is different from existing laser cue devices, such as canes, where the user has to place it in a certain location to ensure correct display of the laser line. How have you funded the project? We have won a range of grants that have helped fund our development so far. In addition to that, we have invested our own savings and time in making it happen. How do you see Path Finder evolving? Yes. Our initial results are very encouraging, so there is a great potential for the product to benefit users. This will increase quality of life and reduce the risk of falling, impacting both users and their families. It could also lead to significant reduction in costs for healthcare providers such as the NHS. Following successful user trials, we will seek regulatory approvals to establish Path Finder as a medical device, so that it can be recommended by healthcare professionals. We aim to have it on the market in approximately two years. Why do you think more and more companies are turning to wearable technology as digital health solutions? Wearable technology is non-invasive and don’t have any side effects when compared to drug treatment. Wearable technology also offers the possibility of gathering data, which opens up a range of options for personalised medicine and an increased understanding of self. What are the next steps? What are your hopes for Path Finder, and people living with Parkinson’s? Our next steps are to validate Path Finder in a larger user study. This will enable us to quantify the benefit of Path Finder in a statistically significant way. We hope to enable Parkinson’s patients using Path Finder to be more mobile. Parkinson’s is a disease that impacts the entire family of the sufferer. By improving the mobility, confidence and independence of the individual with Parkinson’s, we hope to increase quality of life for the family affected as well. If there was one thing you could say to potential investors, what would it be? Path Finder has the potential to greatly benefit the quality of life for individuals and their families. Injuries caused by falling currently cost the NHS close to a staggering £5 million every single day in the UK, while the falls prevention market is worth $50 billion according to InnovateUK. With up to 10 million people living with Parkinson’s worldwide, there is an opportunity for Path Finder to make significant cost savings for health services and, more importantly, create positive change for millions of lives. 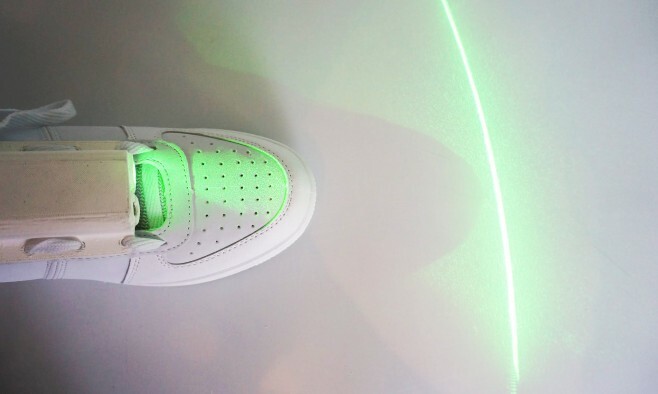 A suggestion: If the Laser emitting device can be detachable from the shoe, then it could used with belt-clips, canes. caps, and wristbands. Also, can it produce a pattern like ladders, squares, checked patterns. That I have read before that people with issues of gait, balance, freezing, will improve their symptoms.